Combine dry ingredients and stir. Make a well in the center, add eggs and milk, stir to combine. Stir in additional flavor of choice, if using (bananas or chocolate chips or blueberries). Heat a frying pan over medium high heat. 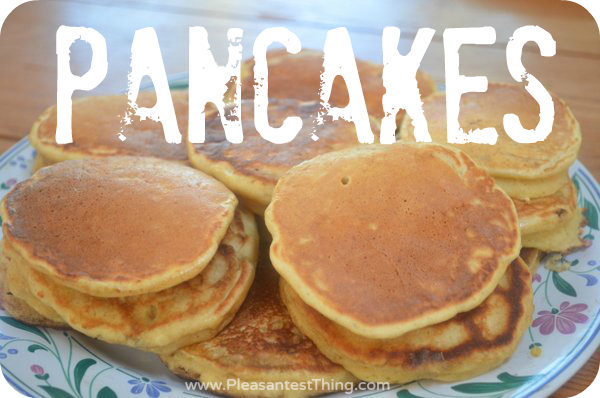 Melt butter in pan, add batter 1/4 cup at a time to cook pancakes. I cooked the pancakes about 2 minutes, then I flipped them, and they cooked for an additional 2 minutes. 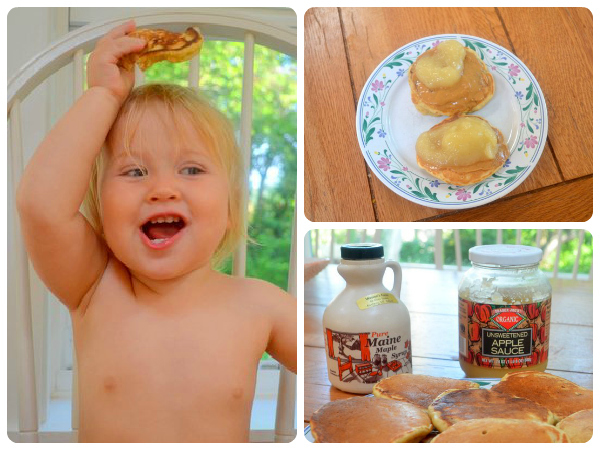 We got out some applesauce, peanut butter, and maple syrup, and made our own pancake treats. These also worked well as leftovers, brought in baggies to the beach.